Do you know about America Customs Documentation? Whatever your moving needs it is always in your best interest to plan in advance and ensure you select a reputable remover who can provide advice and guidance and ensure you move runs smoothly and without any hiccups. When shipping unaccompanied Household furniture and effects into America it is always best to do your homework and ensure you have all the correct documentation in place prior to shipment. You must arrange to be in America prior to the arrival of your goods. USA customs will not clear your effects ahead of your own arrival. To be eligible for duty free entry you must have owned and used the goods for a minimum period of one year before shipment and not intend to place the goods up for sale upon arrival. Appleyards will need a good copy of the photo page of your passport along with a valid visa, permanent residence visa or residence card. Note Returning US citizens will only need a good copy of the photo page of your passport. 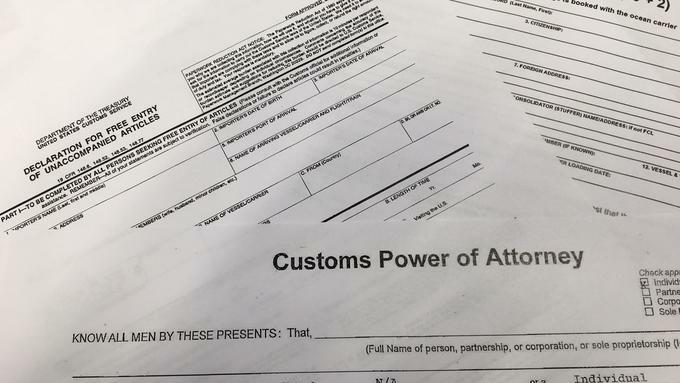 We will supply the appropriate customs declaration USCF 329 along with the Supplemental declaration and Power of Attorney for you to complete and hand back to our International team prior to shipment. When shipping effects into America it is advised you do not include the following in your shipment. Alcohol - We strongly advise you do include this is your shipment, but if you choose to include this, you must provide a separate list to include a breakdown, along with where it was manufactured and what year. Customs will inspect each item, and if any item is rejected this would result in the whole container being inspected and can be very costly. Any charges for this will be for your account upon arrival. Some states in the USA Alcohol is strictly prohibited so it’s always worth checking with us prior to shipment. All wooden packaging to include crates etc. must be treated and be stamped with the ISPM1 stamp. Household furniture so long as treated wood, is fine to take. Vehicles can be shipped into the USA but can be very costly and duty and taxes will be payable. All vehicles must meet both the Environment Protection Agency and the department of transport. Should you wish to include a vehicle in your shipment please check with your International team here in the UK so they can advise the correct documentation is in place before shipment. Ensure if you wish to insure your goods that you have completed and returned the Marine Insurance documentation to include a breakdown and values of each item that you will be shipping before the removal operatives arrive at your property. Note we CANNOT ship unaccompanied effects into America without having a valid visa in place. Please feel free to call us on 01482 330780 or by emailing karen@removalshull.com so we can help you further.